President Donald Trump is turning to one of the few non-military tools at his disposal to confront the escalating threats posed by North Korea: his instinct for verbal combat. Frustrated with decades of unsuccessful U.S. efforts to rein in North Korea’s nuclear weapons program, Trump fired back at the isolated regime with a bluntness that surprised both markets and governments, seeming to take his own Cabinet officers and aides by surprise. Even Secretary of State Rex Tillerson, in the middle of a tour of Southeast Asia to discuss North Korea with allies, wasn’t consulted in advance, his spokeswoman said. The tone of Trump’s comments Tuesday — promising “fire and fury” if North Korea keeps threatening the U.S. — appeared to come right out of Kim Jong Un’s playbook for over-the-top taunts. White House aides said the unsuccessful policies of previous administrations are forcing the president to re-think U.S. strategy. North Korea, not surprisingly, pushed back. 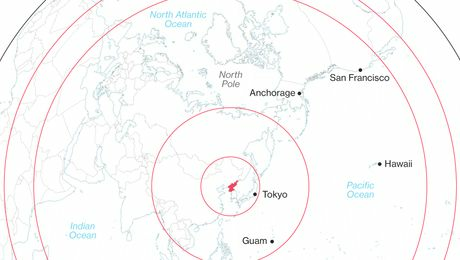 The country’s state-run media called Trump’s comments “a load of nonsense” and said “only absolute force can work on him.” The Thursday statement added that the North Korean military continues to “seriously examine” a plan to fire missiles targeted at the waters off Guam, where the U.S. has a military installation. South Korea on Thursday warned Pyongyang against more provocations. Yet the shift in tone from Trump won some international support, with Matthew Rycroft, the U.K.’s ambassador to the United Nations, saying it was just one component of a broader effort to pressure the North Korean regime. Trump adviser Miller suggested one intended audience for Trump’s blunt rhetoric may have been China, which the president has repeatedly demanded should do more to rein in its neighbor and trading partner. 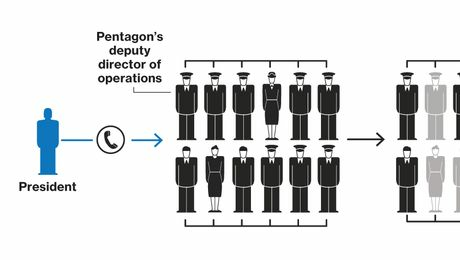 “The escalation in the war of words between the two sides is concerning because it greatly increases the risk of miscalculation and potential conflict,” when the administration should be finding ways to deescalate tensions, said Kingston Reif, director for disarmament and threat reduction policy for the Arms Control Association. 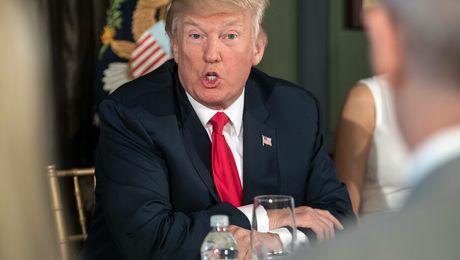 Some analysts said Trump compounded the issue by following up his criticism with a warning that in his first seven months he’s already built a stronger and more powerful nuclear arsenal. That process, which was initiated by Obama, is expected to take as long as 30 years and cost $1 trillion. It’s barely under way.